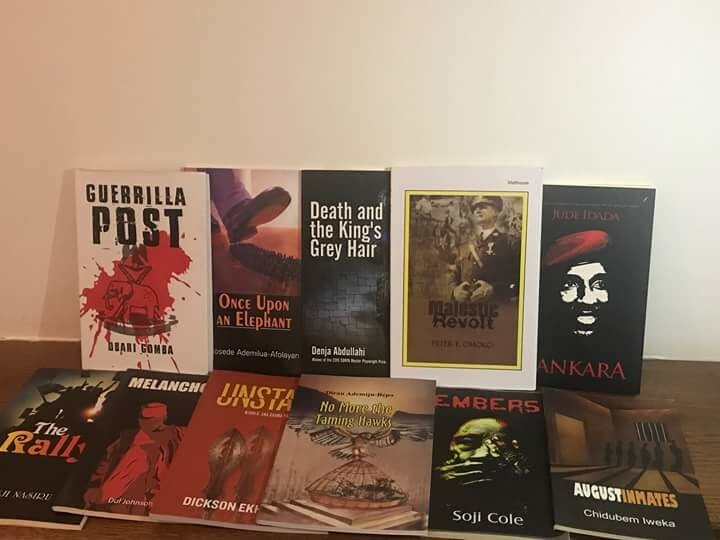 The 2018 Prize jury was appointed in February 2018 by the Advisory Board for the Nigeria Prize for Literature which has been administering the prize on behalf of Nigeria LNG Limited since 2010. Entries for the 2018 Prize were received by the judges in April 2018. 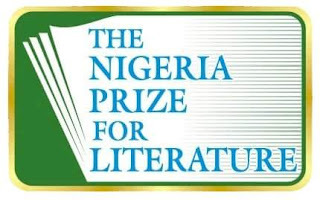 The Nigeria Prize for Literature has, since 2004, rewarded eminent writers such as Gabriel Okara (co-winner, 2004, poetry), Professor Ezenwa Ohaeto (co-winner, 2004, poetry) for The Dreamer, His Vision; Ahmed Yerima (2005, drama) for his play, Hard Ground; Mabel Segun (co-winner, 2007, children’s literature) for her collection of short plays Reader’s Theatre; Professor Akachi Adimora-Ezeigbo (co-winner, 2007, children’s literature) for her book, My Cousin Sammy; Kaine Agary (2008, prose) for her book, Yellow Yellow; Esiaba Irobi (2010, drama) who clinched the prize posthumously with his book, Cemetery Road; Adeleke Adeyemi (2011, children’s literature) with his book, The Missing Clock; Chika Unigwe (2012, prose), with her novel, On Black Sisters Street; Tade Ipadeola (2013, poetry) with his collection of poems, The Sahara Testaments, Professor Sam Ukala (2014, drama) with his play, Iredi War; Seasons of Crimson Blossom, Abubakar Adam Ibrahim (2016, prose) and The Heresiad, Ikeogu Oke (2017, poetry). The Nigeria Prize for Literature with a cash award of $100, 000 is awarded yearly to the best excellent work, alternating amongst four literary genres: prose fiction, poetry, drama and children’s literature will this year be awarded to the best excellent work submitted in the Drama genre. 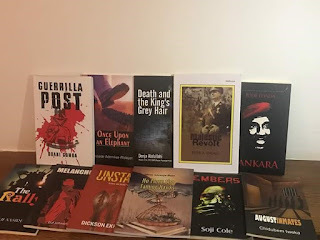 Leading up to the announcement of the shortlist of three and winner in September, there will be a number of events open to the public featuring the authors. A possible winner will be announced by the Advisory Board in October.